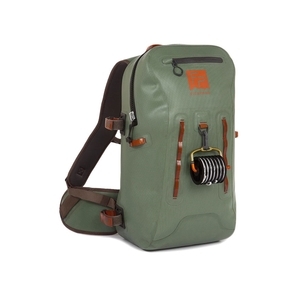 Fishpond Thunderhead Submersible Back Pack. This fully submersible backpack is one of FishPond's toughest bags ever. 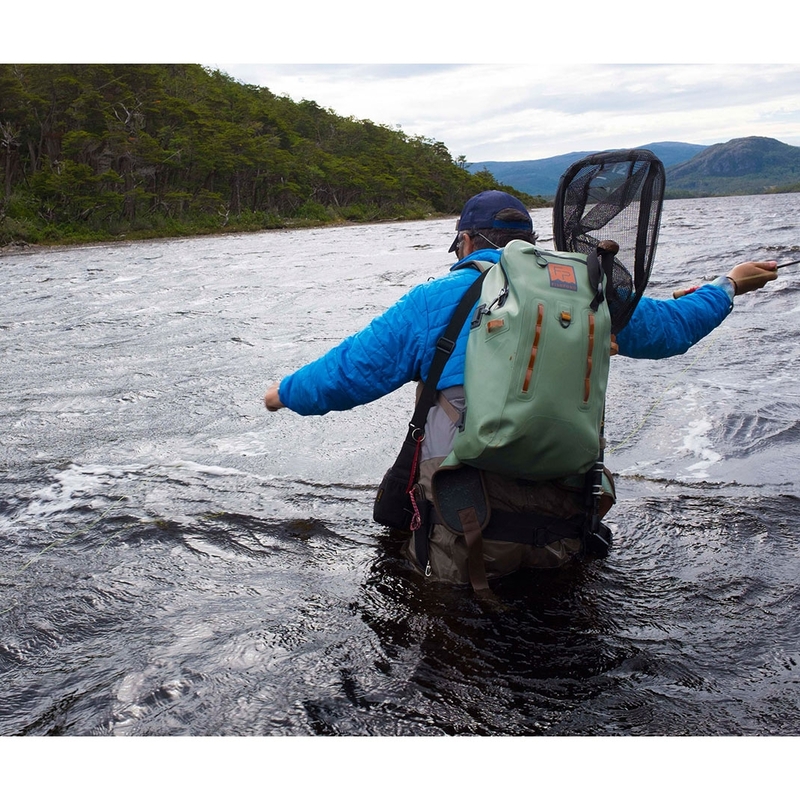 From big hikes into remote reaches of water or the urban commuter landscape of the city, the team at FishPond keep your most important items completely protected from the elements. This fully submersible backpack is one of their toughest bags ever, constructed with their bombproof 1680d TPU coated recycled Cyclepond nylon, a waterproof TIZIP closure, and a sturdy harness system for a more comfortable carry. This new pack is equipped to carry and protect everything you could ever need for a day on the water. Whether in the boat rolling through rapids or on your back bushwhacking along the banks, the Thunderhead Submersible Backpack is sure to keep your cameras, lunch and tackle dry. Explore with confidence knowing that the new Thunderhead Submersible Backpack will shield all of your gear from whatever Mother Nature throws your way!